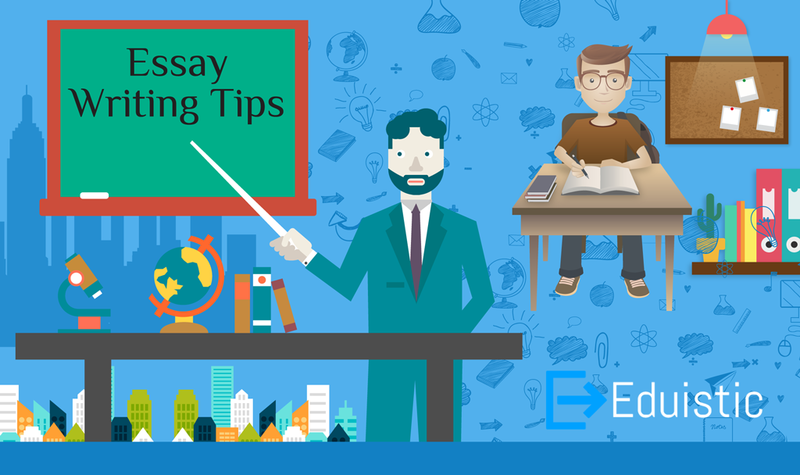 Essay Writing Tips – Eduistic: Need Expert Help with your Studies? Essay is a writing that does a deep analysis and evaluation of a particular topic. It is designed to get the academic opinion of the writer on a particular topic. More precisely, essay is a detail description and argument on a particular topic. Writing an essay does not mean re-telling the existing ideas but it is more about giving own ideas and arguments. Thus, the writer must have a clear knowledge about the topics, so that he/she can define them in a proficient manner. Pick a Topic: You may have the topic assigned. If not, just pick a topic and think about what type of essay you are going to write, whether a technical or a general. It can be a general overview of the topic or the specific analysis. Prepare and develop ideas: In this step, the writer must organise his/her ideas and thoughts. Examples and arguments are developed. Listing of ideas and thoughts can be done and connections between the ideas are developed. Prepare Introduction: It is the basic presentation of the ideas of the writer relating to the main topic. The introduction about the topic should attract the reader’s attention and show the focus of the essay. The starting of introduction can be done with an attention statement by writing a shocking sentence or a quote. However, this should be depicted in the thesis sentence which is the last sentence of the introduction. The main purpose of this is to present a thesis statement about the topic. The thesis statement gives the reader a clear picture about the whole essay. Prepare Main Body: The middle part of the essay is body part. The body of the essay explains or argues about the topic. There can be a number of paragraphs in the body part. But the first sentence of the paragraph should be the topic sentence. Various sub headings can also be explained in this paragraph. Body is the largest part of the essay that can be divided into more than one sub-part. Here, the writer uses arguments and quotes examples about the topic. Writer can provide data and facts to prove the arguments. Prepare Conclusion: This is the closer of the essay and sums up all the ideas presented in the essay. In this section, a simple review of the main points is done and essay is summarized. In this paragraph, the writer gives his concluding remarks of the essay. Effective conclusions can be opened with concluding transitions such as “in conclusion”’ & “at the end”. At last the thesis statement is re-stated by proving or refusing the thesis statement.